Home » Starting » What does INC mean in business? Wondering what INC means in business? You see you at the end of company names such as Apple, Inc and want to know exactly what does this abbreviation mean about the business. The abbreviation INC means incorporated. In the UK they use LTD instead of INC. The abbreviation Inc. is used for both traditional C corporations and S corporations. An incorporated business is a legal entity. This entity is recognized, just as a person would be as an individual, for business purposes under the law. This corporation could be a commercial business, a nonprofit charity, a government, city or town or club organization. Because the Corporation is an entirely separate legal entity from the people who founded the company it will survive beyond the life of the stockholders or any owners who leave the company. When a business incorporates it creates shares which are sometimes called stock. These stock shares represent ownership of the company. Incorporation and the issuing of stock shares allow companies to sell some of those shares to raise capital for business operations and expansion, they can also to use them as collateral for loans, or equity for venture capital investments. Companies that plan to expand and go public with an IPO are required to be corporations with issuing stock shares. To form a corporation you must complete the proper paperwork and file it with the Secretary of State in the state headquarters of the corporation primary address. Additionally, you will need to file Articles of Incorporation which meet your state’s laws and guidelines. These often include the corporation’s purpose, principal business address, number of stock shares and corporate bylaws. Fees for registration must also be paid along with your application. Also, there are annual requirements for filing for corporations, which differ from state to state. Usually, it’s an Annual Report, Board of Directors meeting minutes and sometimes also details about Shareholders Meetings and votes. The rules governing corporation formation and maintenance can be complex and difficult for many business owners to complete without professional legal help. 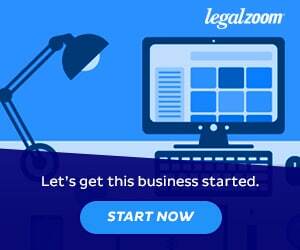 I recommend using the highly rated online legal service LegalZoom. Read my full review here and get referral code to save 10% on your incorporation services. The United States Small Business Administration recommends that companies should incorporate if they plan on growing substantially. I incorporated my cosmetic manufacturing firm at the onset to protect my personal assets from any possible product liability lawsuits. The primary advantage of corporations is that they can issue stock shares. This gives corporations the ability to attract investors and venture capitalists. Tax liability can also be limited with incorporation and income sharing. Traditional C corporations have two significant disadvantages. The first, worst, is double taxation on earnings. Firstly, profits from the Corporation are taxed, and then the shareholders, the business owners, and shareholders must again pay taxes when they receive dividend payments. Because of this negative ramification, S-type corporations were developed to avoid double taxation. These type of corporations have restrictions which include a limit of 100 shareholders. The other drawback of incorporation is more administrative work to file state reports annually, and shareholder and board of director meetings. Depending upon your business operations incorporation could be a good decision. Ask your attorney for their recommendations. The terms Corp. is an abbreviation for Corporation and Inc. is also is an abbreviation for Corporation. They can be used interchangeably, however, INC is more prevalent and widely known. Both short words can be used for entities that are incorporated whether a business, government or nonprofit organization. When you register your new business you can use either Corp. or Inc in your business name for registration. Legally and for tax purposes, there is no difference between these two abbreviations, Corp or Inc.
What type of company is INC? The abbreviation Inc means incorporated. This corporation is a separate entity legally from the business owner, person or people, that created its formation. Board of Directors and company officers own or purchase shares in the incorporated business and have responsibilities for business operations. When you decide to incorporate your business you are protecting your individual assets against business liabilities, debts, and lawsuits. Can an LLC be an INC? While LLC and inks are both forms of business entities they are different and distinct. Inc. is used for incorporated companies either C-Corporation or S-type corporations, while LLC indicates that the company ownership and legal entity is as a limited liability company. Every US state has their own laws about LLC formation which include specific requirements about the words you can legally include in your LLC name. No state allows an LLC to include the designation Inc in their registered name. Can I incorporate my LLC? 1 – Merging your existing LLC into the new corporation. Once you make the merge your LLC will be terminated legally and the corporation will now have all the rights and obligations of the LLC. 2- LLC to contribute its assets to the new corporation in exchange for all the stock in the new corporation. Then you can liquidate the LLC. 3- LLC owner’s to assign their LLC interests to the new corporation. Your LLC will become a wholly-owned subsidiary of the new corporation. >>Learn more about important business terms such as EIN and FEIN in our comprehensive guide.